The primary ingredient for any successful social network is its ease of use. If people can’t figure out how to navigate the site when social networking, they will soon give up to look for greener pastures. Pinterest is proving to be that lush ground as more people are flooding to the site that is so easy to figure out, a baby could do it. 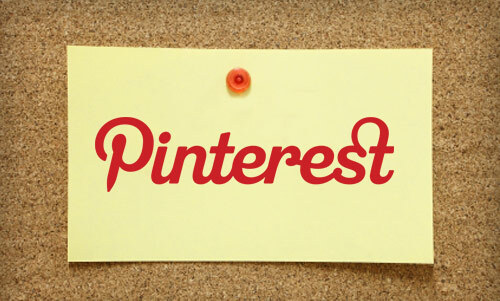 With Pinterest, you can navigate to various boards by viewing the images that have been pinned to those boards. You can pin the multimedia images you like and that’s about it. Of course there are other nuances, but most people log on to pin, pin and pin some more, and there’s nothing wrong with that. That very action is what has caused the word ‘pinning’ to become a verb and it’s why so many people love the social network Pinterest. Another great aspect about Pinterest is that allows you to follow your interests and connect with others who might share those same hobbies and pursuits. If you see an image that invokes your interest, say a photo of a model train if you’re into collecting model train sets, you can go to that person’s or brand’s board to share more photos or to pin and re-pin the photos that you really enjoy. It’s not easy to keep up with a group of like-minded people on Facebook and Twitter, just because there is so much going on at all times. With Pinterest, you get simplicity and the ability to share with others who like what you like. What’s not to love about this social network? One of the primary reasons why people flock to Pinterest social networking is because they are able to construct their own pinup boards. These Pinterest boards are customizable, they allow others to visit and see what you’re about and they’re perfect for hobbyists and brands. You can especially see how your brand could truly stand out with the right photos and videos pinned to your board. Imagine a shopper coming to visit your board where you have beautiful and HD photos of your customizable lawn furniture. You’ll sell out in a heartbeat if you position yourself correctly. That’s the power of Pinterest, but even hobbyists will be able to generate immense interest from others who share similar ideas. Let’s face it, people much prefer looking at pretty pictures online or watching videos where they can zone out, and this is why Pinterest as a social network has done so well. While Facebook allows you to keep up with Family and Twitter allows you to keep up with the latest news and goings on, and Google+ gives you a combination of the two, you’re still reading a bunch of words at the end of the day. If someone has a full time job, a family to take care of, they might not want to read about their cousin’s latest dinner concoction or about the latest celebrity breakup. Instead, they want to zone out and let their mind wander. What better way to do that than with thought-provoking photos and videos that you can pin and re-pin with a simple click of the mouse? This is why Pinterest is so good with the social networking crowd. You can go from photo to photo, from board to board and you can pin and re-pin without much thought. This isn’t to say that anyone is dumb and it’s not meant to sound condescending. It merely implies that we are overloaded with information as a culture and Pinterest allows one to take it easy while following his or her passions and interests. What does this mean for marketers? As an Internet marketer, this is great news. If you do your job correctly and you position your brand with beautiful, thought-provoking photos and videos and you make sure your board is as inviting as possible, you will go far on Pinterest. All those new people signing up on a daily basis, the ones that have helped Pinterest as a social network gain a 145 percent increase in user registration, are always looking for new brands to follow and new products to buy. Get on Pinterest and you will soon see why so many people love to pin and re-pin while social networking. This entry was posted in Pinterest and tagged pinterest, Pinterest social networking, Social network, social network Pinterest, social networking by Bill. Bookmark the permalink.